On April 10, 1956, Nat King Cole was attacked by three white men on stage during a performance in Birmingham, Alabama. The assailants, all members of a white-supremacist group, were quickly arrested, but not before they managed to injure Cole, ending the concert. 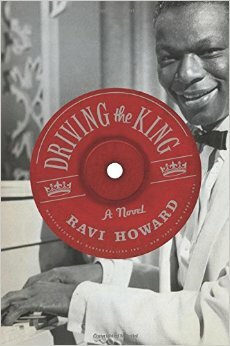 Until I read Ravi Howard’s excellent novel, Driving the King, I was unaware of the incident, or that Cole had starred in a national live television show in the mid-1950s. What I did know is that bigotry is an ugly and sometimes violent trait, and the discrimination that has always existed in this country has not left us. The novel takes some liberties with the details of the attack on Cole: by moving the incident forward in time by a decade; by relocating it to Montgomery, Alabama, Cole’s hometown; and by inserting into the event a fictional character, Nathanial Weary, the novel’s narrator and protagonist. In the novel’s version of the attack, Weary, a childhood friend of Cole’s who has returned to Montgomery after serving in World War II, is at the concert with his girlfriend—seated in their segregated balcony where he plans to propose marriage—and leaps to Cole’s aid when the attack begins. While Weary succeeds in preventing the attack from being worse than it could have been, as a result of severely beating one of the attackers he is also arrested. In an example of the many injustices of the era—injustices we still see every day in this country—Weary is sentenced to ten years in prison for his role in the riot even though he was merely defending the intended victim. I am fascinated by fictions that undertake this kind of manipulation in order to get at both a greater truth and a relatable story. Weary didn’t actually exist and the attack didn’t happen exactly as it does in Howard’s novel, but through Weary the reader experiences an even broader array of atrocities than might otherwise be the case. Despite having served honorably in the Army during the War, Weary is treated badly by the criminal justice system. Jim Crow laws are still in effect, dividing black from white and denying services to men like Weary. Blacks are relegated to balconies and, significantly, the backs of busses, leading to the Montgomery bus boycott that is central to the book. Weary can’t even escape by moving to LA, which by comparison to Montgomery seems enlightened: shots are fired into Cole’s home and segregation is a fact of life. And while it might be difficult for a reader to relate to Nat King Cole, a real person we know to have been famous and successful despite the consequences of bigotry, it’s more conceivable to empathize with Weary. We can at least begin to understand his struggle, the pain of his loss, and the glimmer of hope that keeps him fighting. Howard has employed an appealing structure for his story. The narrative centers on Cole’s return to Montgomery to give the city the show that they had been deprived of ten years earlier because of the attack. The story opens with Weary driving to the Montgomery airport to pick up Nat Cole on the day of that performance and subsequent chapters move us through the day—checking into the hotel, setting up the concert hall—while in alternating chapters the past is revealed. In these chapters we learn about Weary’s girlfriend, the attack on Cole, Weary’s time in prison after the attack, and ultimately his work for Cole in LA that has now brought them both back to Montgomery. 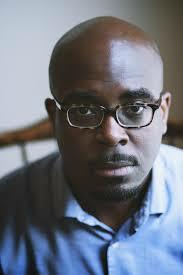 We also learn about humiliation, discrimination, and resiliency, which, it seems to me, is the novel’s message. Weary pays a high price for his integrity, but he doesn’t succumb to the oppression. Cole, as a black artist, is unable to get a sponsor for his television show, but he moves his career in a new, successful direction. The black citizens of Montgomery, through their bus boycott, achieve their aims, too, ushering in the modern civil rights movement. While the movement is never absent from the story, the novel is also about Weary’s personal struggle. Despite the strictures of segregation, his future is relatively bright when he returns from Europe. The attack on Cole derails his plans. While we witness history being made in the form of the boycott, we also watch his efforts to get his life back on track. It’s an engaging novel, from start to finish. My novel in stories, WHAT THE ZHANG BOYS KNOW, won the 2013 Library of Virginia Award for Fiction. My collection of linked short stories, IN AN UNCHARTED COUNTRY, was awarded both the Maria Thomas Fiction Award and a Gold Medal (IPPY) from Independent Publisher. I am the editor of Prime Number Magazine and the short fiction anthology, EVERYWHERE STORIES (Press 53, 2014). This entry was posted in Uncategorized and tagged review. Bookmark the permalink.